Pretty basic on tech but a complete package on safety features. 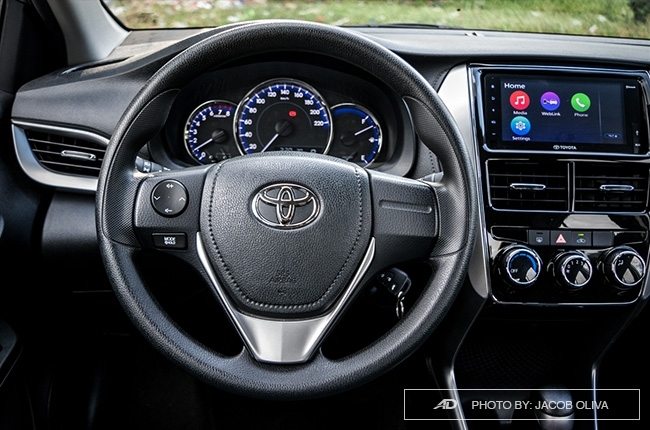 Before you start crawling your eyes onto this up-close look at the technology and safety features of the 2019 Toyota Vios, it’s important to set your expectations first about this subcompact sedan. As we all know, the Vios isn’t known to be a high-tech vehicle. 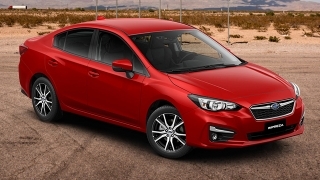 It’s a workhorse, designed to be a daily sedan – whether as a fleet car, a ride-sharing vehicle, a private ride, or as a cab. 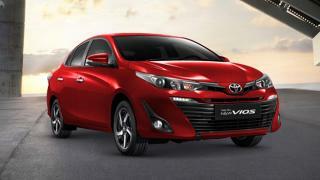 As such, the Vios won’t wow you in any way when it comes to what it can offer in its cabin. But instead, there are things that you might not expect in it, but it does. 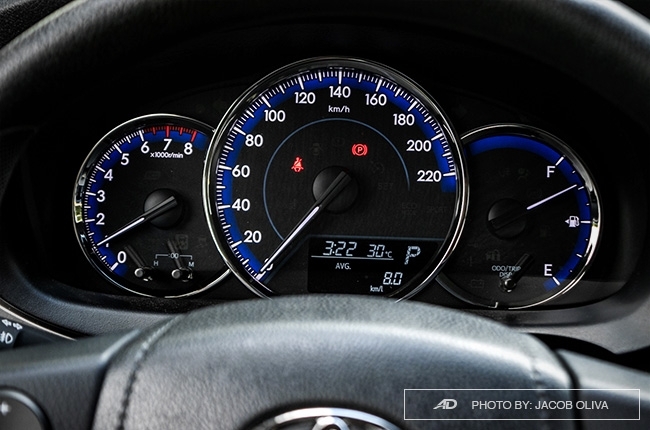 As a 1.3 E trim, the 2019 Vios is stripped down of convenient and performance tech found in most sedans like Eco Mode, Sport Mode, paddle shifters, power-folding side mirrors, and push-start button. That’s fine because, again, expectations. 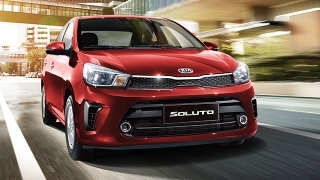 So yes, you will have to use your key to start the car and fold the mirrors yourself. You can adjust the latter through buttons, though, so there’s that. 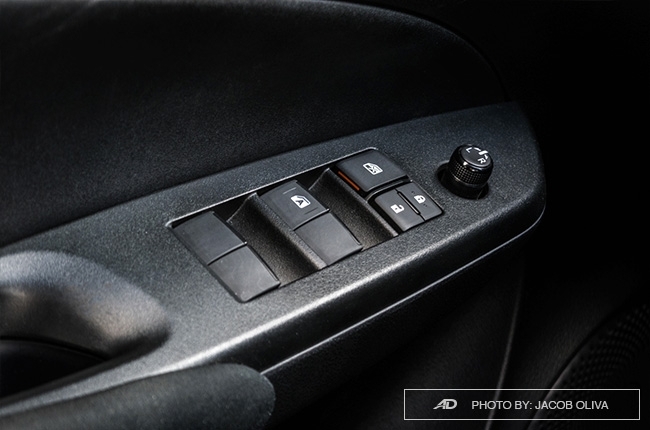 Speed-sensing door locks are also absent in the Vios, so you will have to lock the doors using the centralized electronic locks. As a consolation, the driver’s window is auto up and down, which is kind of unexpected but a welcome feat. 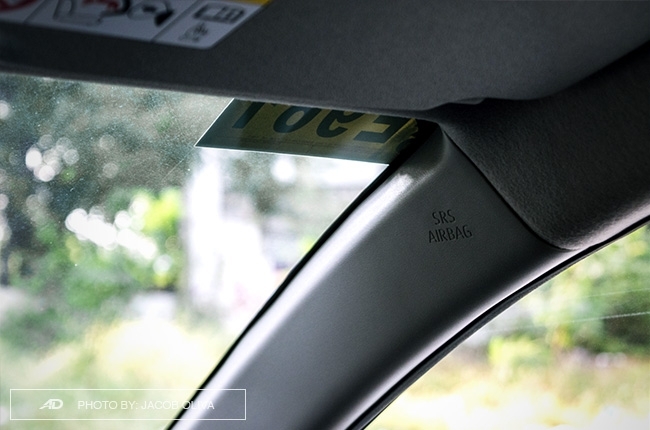 In contrast to the car’s manual air-conditioning, the Vios E comes with a seven-inch touchscreen infotainment system. It’s probably the crown jewel of the car, but it isn’t exactly new as this has been employed in its predecessor (including the hidden CD player). 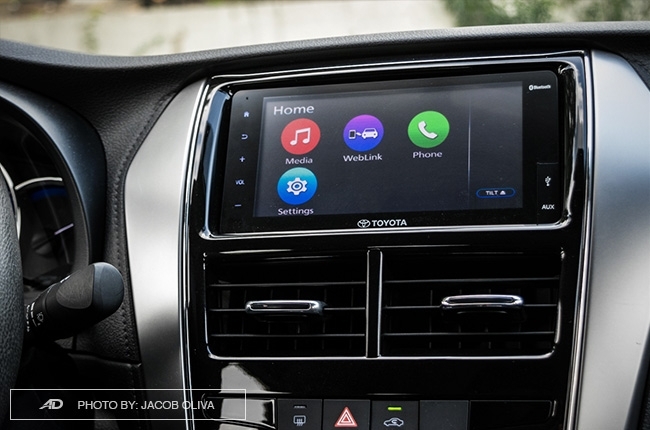 What improved, however, is that the head unit is now more responsive and has minimal lag. Bluetooth pairing is possible for both iOS and Android devices, but the USB connection is exclusive for the former. Although, I would suggest not to use the head unit-embedded USB port as it charges smartphones very slowly; better to use a separate car charger using the 12V socket and connect via Bluetooth instead. 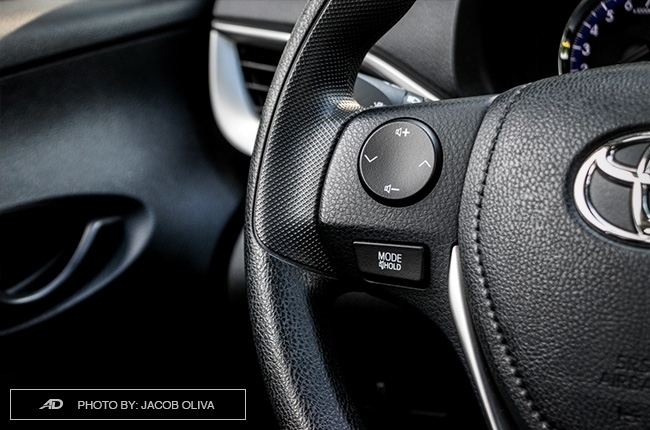 Besides, handsfree calls are loud and clear as tested, albeit, listening to music isn’t that pleasurable with only four speakers within the cabin. 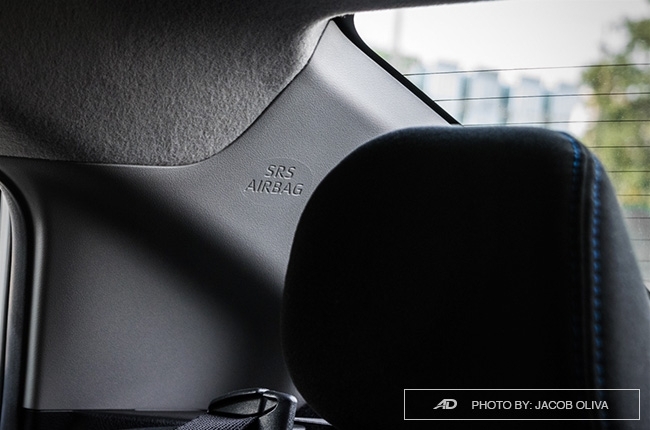 Present throughout the entire 2019 Vios’ range is seven airbags. Yes, seven. That’s one for the driver, one for the front passenger, two sides, two curtain shield, and one bonus knee airbag for the driver. That’s a lot, mind you, but it is what it is. 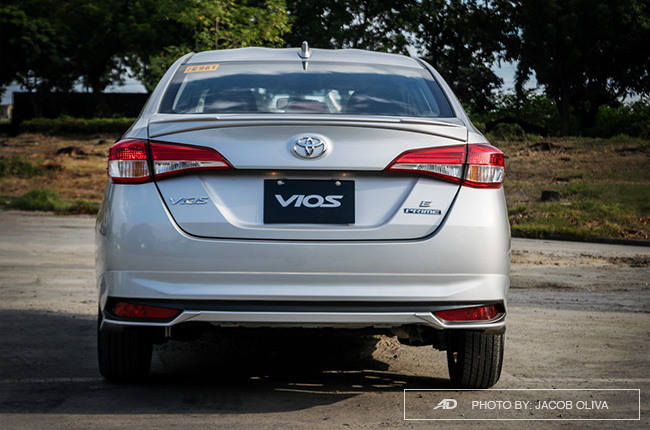 Apart from those things that cushion any type of impact, the Vios also comes with Vehicle Stability Control. 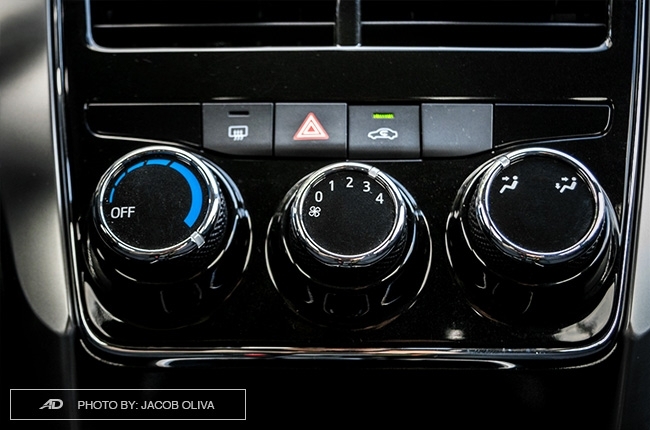 This feature keeps you in control of the vehicle when avoiding a collision. 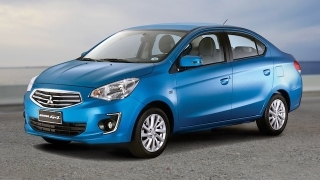 Also included in the package are Hill Start Assist, ABS with EBD, ISOFIX child seat tethers, and Brake Assist. 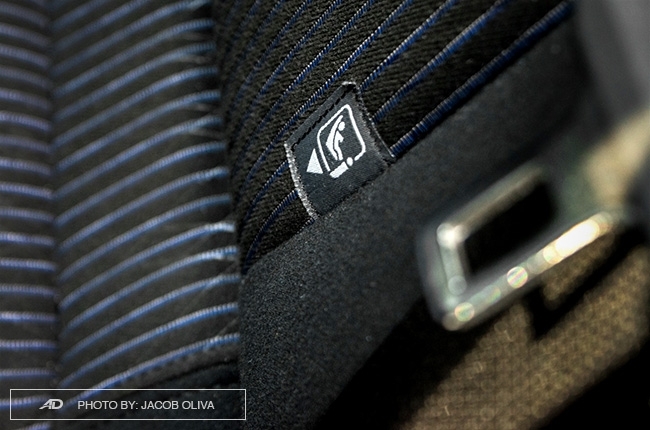 With these features laid out, we all know what Toyota’s priorities are when speccing the 2019 Vios (and the Rush and Yaris) – all-around safety. Doesn’t matter if some convenient features are removed. As long as its patrons are safe and secure, Toyota’s product planning department would sleep soundly at night. And so are you, as a parent, if you’re giving this car to your child as a gift.